Please have a (careful) read of my copyright rules first, there are many cases where I'll allow free use. If you're looking to have a new cartoon, graphic, logo etc created, then the more information you can supply me with about what ideas / image you want it to express, the better. Beginning with as blank a slate as possible is the most productive approach, rather than sending me ideas for finished cartoons. I don't use my real name. For Skeptics In The Pub groups - my 'A History of Cartoon Controversy' illustrated talk usually goes down a treat. (Manchester, Leeds, Coventry, Essex, York...) You can see a lot of my skepticism cartoons, and buy my book 'thINK' here. 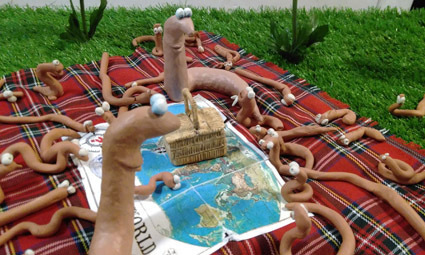 We're normally accompanied by our endearing giant model of "the world's most humble hero", and are happy to include a set of play activities, eg sculpting a model worm to join the Little Worms Picnic! To date we've held successful readings at Hulme Community Garden Centre, Manchester Children's Book Festival and National Museum Cardiff. 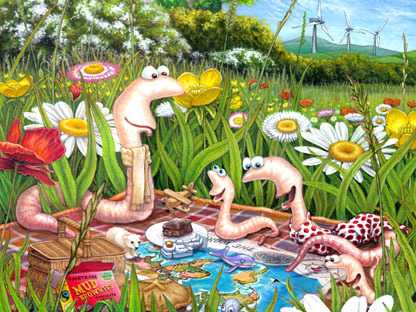 "All the children at the Family Fun day loved hearing all about Little Worm and his adventures... as well as looking at all the beautiful illustrations in the book." Jacqueline Grima, MCBF. 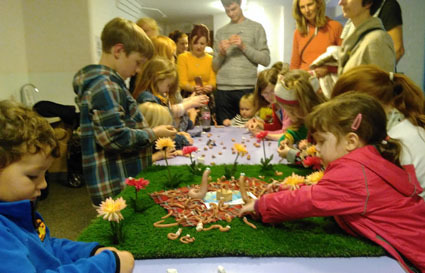 "The amazing 'Little Worm' storytelling and play activities were a great complimentary event for the 'Wriggle!' exhibition here in the National Museum Cardiff, with two of the three sessions oversubscribed. Getting the children to participate in an animal treasure hunt (for the creatures featured in the book) helped focus them on the museum exhibits." Dr Lucy McCobb, Senior Curator NMW. "Always great to have more wormy books about the tireless workers beneath our feet, who are the forgotten heroes of our planet!" 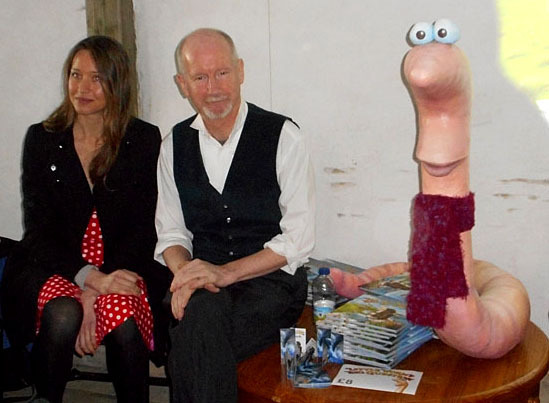 Emma Sherlock, President of the Earthworm Society of Britain. And in case you're wondering why 'Polyp'?..